Looking back at my travels, I've collectively spent almost 4 months between Australia and New Zealand... and I could spend YEARS more in both countries. The people, landscapes, ambiance and overall demeanor these countries embrace is infectious. There is no wonder these are BY FAR my longest posts, but there was just too much magic not to share. The thing about traveling all over the world is that you are inevitably going to run into, meet, become lifelong friends with heaps of Australians….at least this was the case for me. Through my travels I was lucky enough to have met Aussies who were living all over the country from Melbourne to Cairns to Perth, all of which were gracious enough to open their homes and share their tour-guide skills with me. This is my longest post, but it was also 6 weeks worth of Aussie adventure! I started in Melbourne which is a beautiful city that has a shabby hipster way about it with amazing graffiti covered alleys, old refurbished buildings, and amazing quaint restaurants, but also has a sophisticated side with new stunning architecture, park and canals. I was able to stay with the adorable Dave and Tiff and the hilarious Erica who all opened their homes to me after meeting on our trek in Nepal 4 months prior. Overall I ended up spending about a week and a half there and could easily see spending much more than that, but I had a whole country to see and so I had to make my way to Adelaide. From what I heard about Adelaide is that it’s beautiful, it’s the city of churches….but no one bothers going there. I have to say that I don’t agree with this philosophy at all, it’s totally worth seeing. It’s one of the best wine countries in Australia and the zoo was amazing! I went pretty early to the zoo and when I was taking pictures of the Koala (the first one I’ve ever seen!) one of the zoo keepers came out to feed him. We started chatting and she invited me back into the enclosure so I could get a better angle. I was stoked! She even let me pet him, which may have been one of my highlights! Perth was the next city on my list. There I met up and stayed with an awesome couple I had met in Egypt, Ben and Kelly. They were amazingly accommodating and Ben made it his personal mission to make sure I saw everything there was to see in Perth. We made our way out to the beautiful beaches, saw the cityscape from the park on the hill, even made it to Rottnest Island where my new favorite animal ever lives…the quokka (or as I like to call them, “quakers”) These little guys are a mix between a mini kangaroo and a gerbil. Aside from the fun with the quokkas, Rottnest was one of the most beautiful islands I’d ever seen. The color of the water, the rock formations into the sea, the white sand beaches…it was pretty amazing. Our last adventure in Perth was kayaking out to seal and penguin islands…which should be named pelican and seagull islands, respectively, since we only saw one seal who looked as though he was left behind by all his friends, and one little penguin hiding under the stairs, but pelicans and seagulls where abundant! Next stop was Cairns. Being a scuba diver, there are few places that are as infamous as the Great Barrier Reef to go diving at, and so of course that went on the list, and it lived up to its name. The coral and sea life were so vibrant and colorful it made it seem kind of surreal under the sea. We then headed to the rainforest and had so much fun zip lining though the forest and taking little treks out to the beaches it was stunning. Coming from Cairns I flew into Brisbane and went straight on a 3-day 2-night trip with Fraser Free to Frasier Island. What I didn’t realize was that it was all beach and sand that you drive on, so you have to be well equipped with a serious 4x4 and excellent driving skills. We saw a flipped SUV on the beach that made that last statement all the more important. On this Fraser Island tour I met a group of people from around the world. Everywhere from Switzerland, Germany, Japan, China to… Brisbane. It was a seriously fun group and even though the weather wasn’t the best, we still went on beach walks, rainforest hikes, 4x4 treks and ended up at the hotel bar with a cold beer in our hands at the end of each day. It was a great adventure and I highly recommend it! Once I got back to Brisbane I spent 2 days exploring the city making my way over the beautiful bridges to the fairs wheel, through the park and all over the city. I even enjoyed an amazing dinner overlooking the canal and lit up bridge. It reminded me of San Francisco. From Brisbane I was so excited to get to the Gold Coast where I was meeting up and staying with another couple, Peta and Simon, I had met in Egypt 8 months prior. It was a lot of family fun going for hikes across the coast line, a drive up into the mountain range, and even a trip to Byron Bay where I got to cross off hang gliding from my list. Byron was beautiful to say the least, and from the open air that much more incredible. We also stalked some surfers, who were abundant, and enjoyed the salty air of the beach. It was so much fun hanging out with Peta and Simon again and seeing their beautiful family….especially that Sydney (or Stella as I like to call her). She won my heart and I can’t wait to go back and visit her again someday. Which leaves us with the last chapter of my Australia trip…Sydney. In Sydney I was met at the airport by my favorite sisters, Tiff and Danni, from my Egypt trip. These girls made my sides hurt from laughing so hard in Egypt, and now I got the chance to spend another 2 weeks with them in Australia!! How lucky could I get! Tiff has prime real estate in Bondi Beach where I crashed for most of the time. The beach walk from Coogee Beach down to Bondi along the coast was 2 hours of breathtaking shoreline with heaps of little nooks in between. Highly recommend it! I also was joined by one of Tiff’s friends to go for a beautiful waterfall hike through the Blue Mountains. Amazing trek with views and waterfalls for days! (Thanks Ashley). I also spent most of my days wandering around most of Sydney seeing everything from the fish market, to the iconic opera house and even taking a 2 hour cruise around the city. I also got a chance to head up to Newcastle to hang out with Danni for Anzac Day (Australia’s Independence Day). We went to the dawn ceremony to see the sun rise over the ocean and then headed to the bars for 2-up….the Australian gambling phenomenon. In total I spend a month and a half traveling the beautiful country of Australia and I could easily have spent another year. I had so much fun reconnecting with old friends, making new ones and saying, “Good on ya” that I know I’ll be back to the beautiful country before too long. I was so lucky to be able to meet up with one of my best friends in New Zealand for 2 full months! I got a job as a waitress in our small town of Oxford (so small that it was one of 2 restaurants in town) and became a bike commuter. We took weekends off here and there and made our way through the south island to Akaroa, Christchurch, Castle Hill, Arthur’s Pass, Hanmer Springs, Kaikoura, Mt. 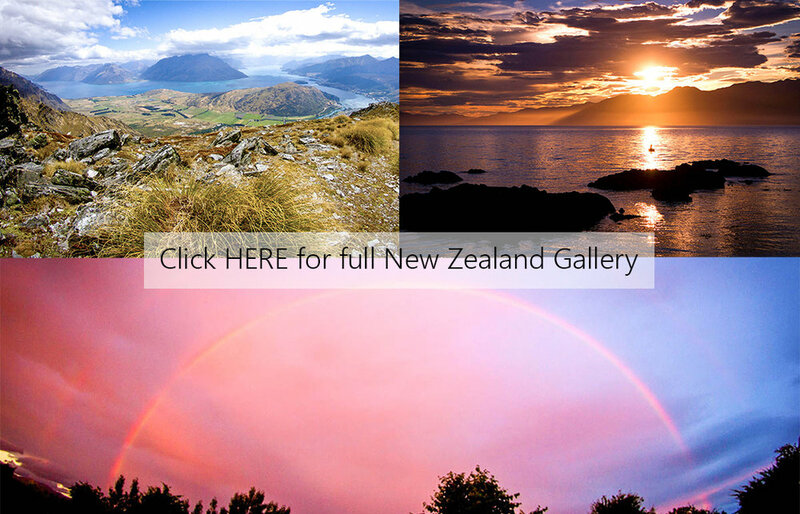 Hutt, Queensland, Wanaka and the West Coast. It was an amazing 8 weeks! Driving around this country I found that New Zealand is full of some of the most beautiful landscape I’ve ever seen. The luscious green fields littered with sheep and cows leading to the mountains ranges are remarkable …It reminded me a lot of Ireland, but with huge mountain ranges and better weather. Once we got to Akaroa, I was blown away. They were having a rose garden show and the gardens in these houses were the biggest, most vibrant roses I’ve ever seen. The town it’s self was a perfect “get-a-way “ town with a cove for kayaking, hills for hiking and amazing views all around. After Akaroa we made it back to Oxford where the whole town closes by 4pm and it doesn’t get dark until 10pm made for a lot of nights filled with wine and cribbage at home. One of my favorite get-a-ways was over Christmas my parents made their way out to NZ after traveling around Australia for a few weeks and we got a batch house, or (vacation rental) out in Kaikoura right across from the beach. It was truly unforgettable. The next day we headed out to go fishing, but since the weather was so bad we ended up with 6 live lobsters to take home in place of fish and packing them served as an interesting adventure all its own. One decided to jump out of the box they were in and I don’t think Jill or I have ever jumped so high and screamed so loud. It made my parents day to watch us squirm. Before leaving Kaikora, Jill and I did a day hike around the town and even got to play with the seals and all the cute babies on the rocks around the cove. Kiakora was definitely an adventure to be repeated! Over the course of the next month or so we made our way out to Hanmer Springs to play in the pools with our favorite family, Tracey, Jason and their 2 little ones, Cass and Tom. This family truly took us under their wings and had us over to dinner at least once a week and we even crashed their vacation. However, my favorite place we visited had to have been Queenstown and Wanaka. It reminded me a lot of Mammoth with beautiful lakes, mountain ranges and a kick back vibe (that was pretty much all through New Zealand, but still). Jill and I were lucky enough to be able to go on a helicopter ride (first for both of us) in Queenstown and see some of the most amazing views ever. I wish we could have been up there longer, but it was worth it for the time we were. We also ended up taking a 5 hour hike in Wanaka that I was pretty sure might kill me, but once you were at the top it was worth the pain! You felt like you were king of the world it was so beautiful. In between our big trips we made our way to the boulders of Castle Rock, the mountain ranges of Aurther’s Pass , and how can I forget Mt. Hutt for New Year’s Eve. Even though I had 2 months to experience NZ, I would love to go back rent a camper van and take on the North Island next time. There is just much to see in this little country.